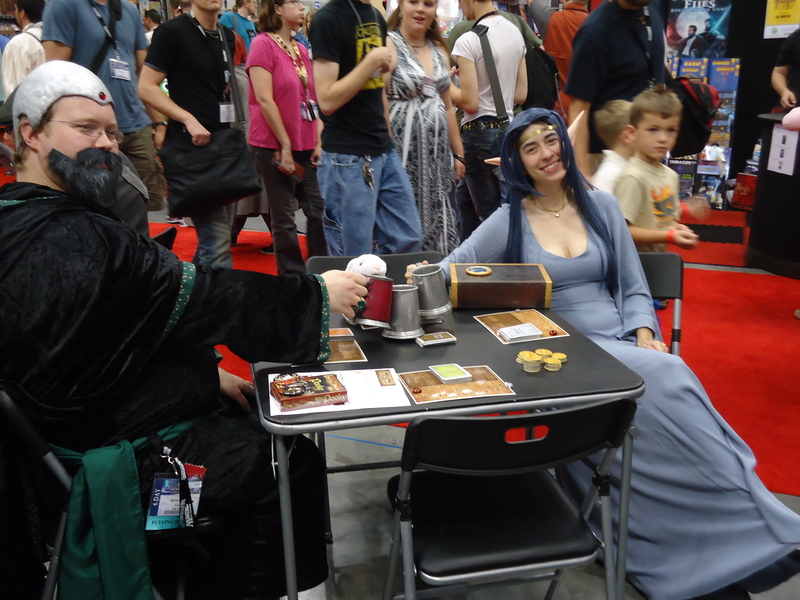 SlugFest Games - Red Dragon Inn Cosplay! This year we were stunned and excited to play host to Zot the Wizard and Deirdre the Priestess! 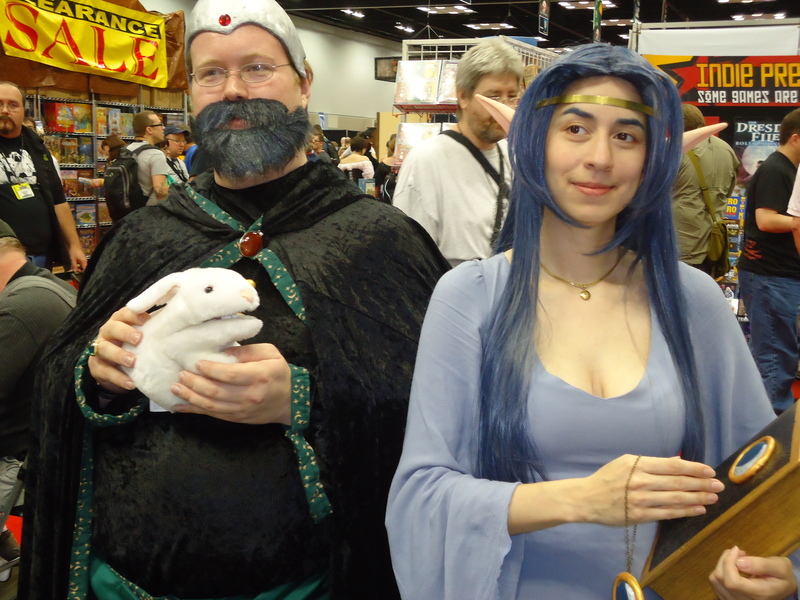 Deirdre paid visits to our booth throughout the con, and Zot topped off the show with his appearance on Saturday. Best of all, we had no idea our characters would be making an in-the-flesh appearance! Thank you shout-outs to both of the cosplayers who came by and energized the booth! I can’t wait until we can see a Gog! Deirdre the Priestess was played by Erin Flores. Unfortunately we misplaced Zot the Wizard’s info! If Zot would like to contact us we would love to give him the credit! 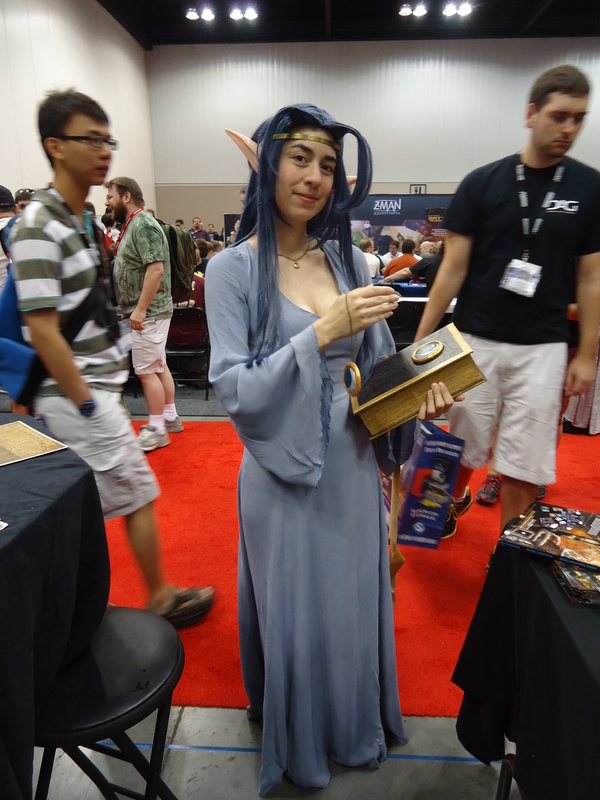 If you would like to see more pictures from Gen Con 2012, check out our Facebook Page!